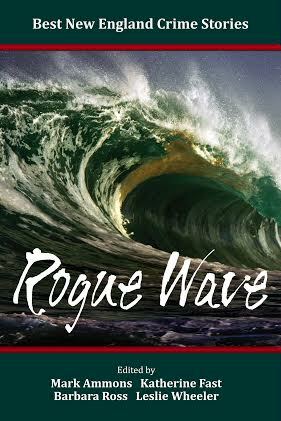 Get swept up in a tsunami of twenty-nine new crime stories from award-winning New England Crime Writers, including yours truly! From classic mysteries to dead celebrities — some light, some dark, some flat-out scary, and some downright funny — this anthology presents a treasure trove of the best in New England crime writing, and I’m thrilled to be included. My short psychological thriller, “Bebe Bamboozles the Missus,” came to me while on a walk in one of Camden’s nicest neighborhoods. Passing by a tree-shrouded home, I heard the voice of my narrator, telling me a story I couldn’t wait to write down. Nuclear brinksmanship. Psychological warfare. Spies, double agents, femme fatales, and dead drops. The Cold War–a terrifying time when nuclear war between the world’s two superpowers was an ever-present threat, an all-too-real possibility that could be set off at the touch of a button–provides a chilling backdrop to this collection of all-new short stories from today’s most celebrated mystery writers.Bestselling authors Jeffery Deaver and Raymond Benson–the only American writers to be commissioned to pen official James Bond novels–have joined forces to bring us twenty masterful tales of paranoia, espionage, and psychological drama. 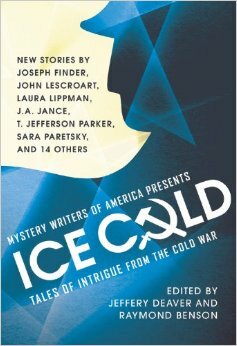 I’m thrilled that my short mystery “A Neighbor’s Story” is a part of this Mystery Writers of America anthology — one of only ten “new” writers selected — that includes Cold War tales from Joseph Finder, John Lescroart, Laura Lippman, J. A. Jance, T. Jefferson Parker, Sara Paretsky, Katherine Neville, and Gayle Lynds with John Sheldon — and me! A blind panel of experts chose the stories and I cannot be more thrilled that mine is included. “A Neighbor’s Story” describes the friendship between two retirees in a small coastal Maine town in the 1980’s at the time of the fall of the Berlin Wall, whose memories of time spent in Vienna end up having deadly ramifications in the present. What’s it really like to live in Maine? In this completely revised and expanded edition of the best-selling, comprehensive guide, I cover all the reasons to move to Maine, as well as what newcomers will find once they get here. 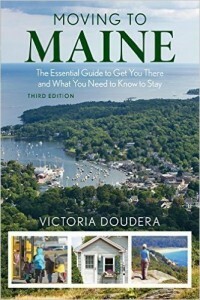 The book provides a broad range of information about schools, housing, cultural life, taxes, work and employment opportunities, and even the weather, as well as anecdotes from me and the many new Mainers I interview. 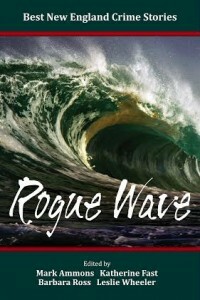 My short story Gift of the Sea, a prequel to the Darby Farr Mysteries, is included in this new eBook collection of original stories, created to benefit the 2011 Japan Relief Fund administered by the Japan America Society of Southern California. EVERY PENNY the Fund receives from sales of SHAKEN will go directly to northern Japan, to rebuild shattered communities, reunite families, help men, women, and children to get on with their lives despite dreadful loss, and cope with the continuing threat of nuclear contamination. The project was born out of the writers’ concern for the people in the disaster zone. Although I hadn’t written a short story in decades, I knew I wanted to take pen in hand and tell the story of Darby’s Japanese mother Jada Farr, and how she came to live on the rocky island of Hurricane Harbor, Maine. 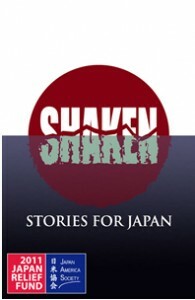 SHAKEN: STORIES FOR JAPAN includes the works of twenty writers in total, all of whom chose to pool their talents to help people in need, as musicians and actors so often do. I feel fortunate to have contributed to such a worthy cause, and I hope the funds raised from the sale of SHAKEN can in some way repair, or at least soothe, the unthinkable losses experienced by the earthquake and tsunami’s victims.